In the recent research report, “The State of the Bible,” the Barna Group found that 69 percent of Americans believe the Bible provides answers on how to live a meaningful life. Although 79 percent believe they are knowledgeable about the Bible over 50 percent were unable to correctly identify the first five books. 47 percent of American adults believe the Bible has too little influence in society today. 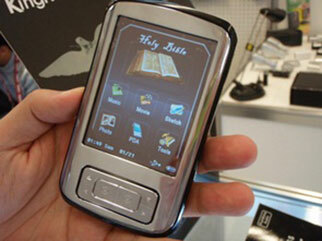 55 percent read the Bible to be closer to God, down 9 percent (from 64 percent) in 2011. 46 percent believe the Bible, the Koran and the Book of Mormon are different expressions of the same spiritual truths; 46 percent disagree. On average, 85 percent of U.S. households own a Bible; the average number of Bibles per household is 4.3. 36 percent of Americans read the Bible less than once a year or never, while 33 percent read the Bible once a week or more. Americans’ beliefs about the Bible vary by age. Only 34 percent of those age 18 to 27, vs. 62 percent age 66 and older, believe the Bible contains everything a person needs to know about living a meaningful life. Read the stories in Genesis, Exodus, Joshua, Judges, 1 and 2 Samuel, 1 and 2 Kings, Matthew, Mark, Luke, John and Acts. Once the reader gets a good feel for the events in these books, they can begin to wade through some of the other writings: the Epistles, the Prophets, the Psalms and Proverbs. Leave the legal and visionary stuff for last: Revelation, Leviticus, Numbers, Deuteronomy and Ecclesiastes. To dig deeper into the scriptures you can find resources and suggestions on the Book of Faith Initiative’s website. Open the scripture and join the conversation. Is America facing a “post-Christian” future?